Instructions: defender knocks it in and steps to defend and tries to win the ball. when they win it, the game has ended. attacker receives it and tries to (in this order) 1. get OUT of their triangle 2. get IN to opponents triangle 3. get ACROSS opponents endline. 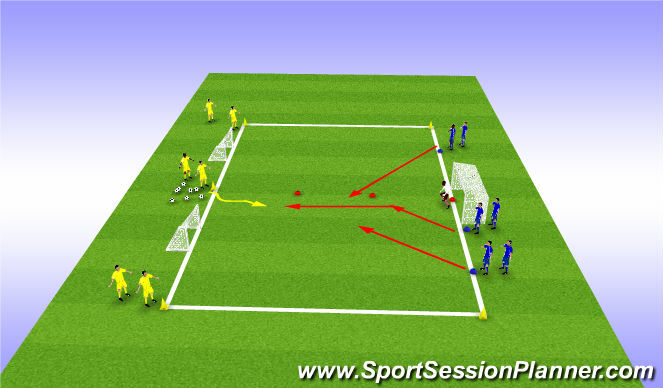 3 points, win the ball inside their triangle. 2 points, if attacker dribbles out of their triangle, that&apos;s ok. protect your own triangle by shuffling your feet, keep them from entering your triangle for 2. 1 point. 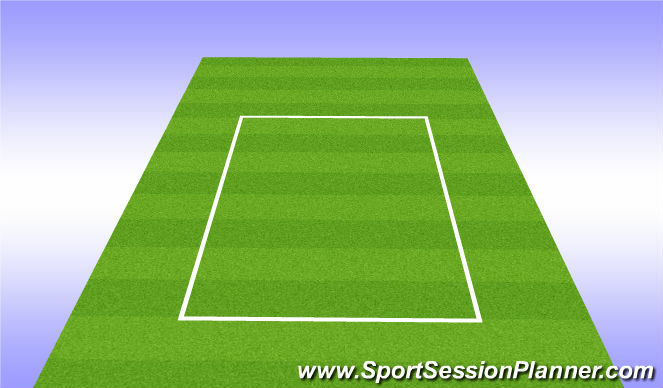 if attacker dribbles past you, and get into your triangle, there&apos;s still a chance to get a point. 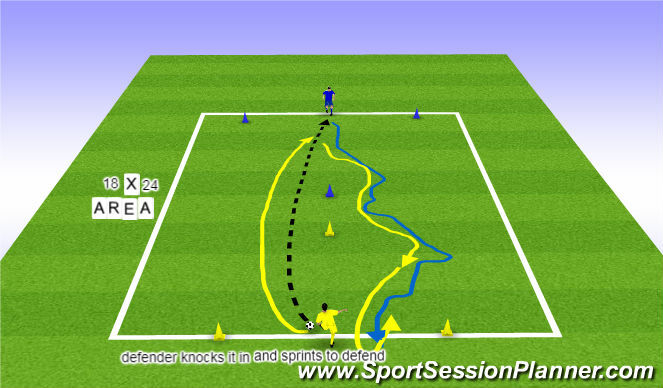 make a recovery run (shape of a J) and keep them from dribbling across the endline for a point. 0 points if they dribble across your endline. closest defender to the ball at any time needs to PRESSURE. 2nd closest needs to support/cover them. covering player is there so they aren&apos;t beatedn on the DRIBBLE, so they can&apos;t be out wide marking an opponent on the sideline.